As a fitting tribute to someone’s life, Perth Graphics Centre is now offering coffin wraps. As Perth’s most accomplished sign shop, we can create artwork, incorporate photos, add textures and make a coffin look truly dignified. 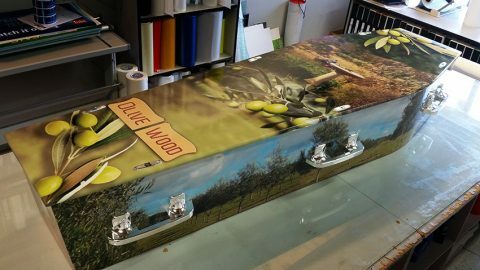 Seen here is a coffin wrap we made, using the farm that the person lived on as the background. With their love for their olive grove, we created a unique wrap that showed their passion. If you have something in mind for a coffin, then please feel free to speak to us about your ideas. Our team of talented designers will come up with something that your loved ones will appreciate. 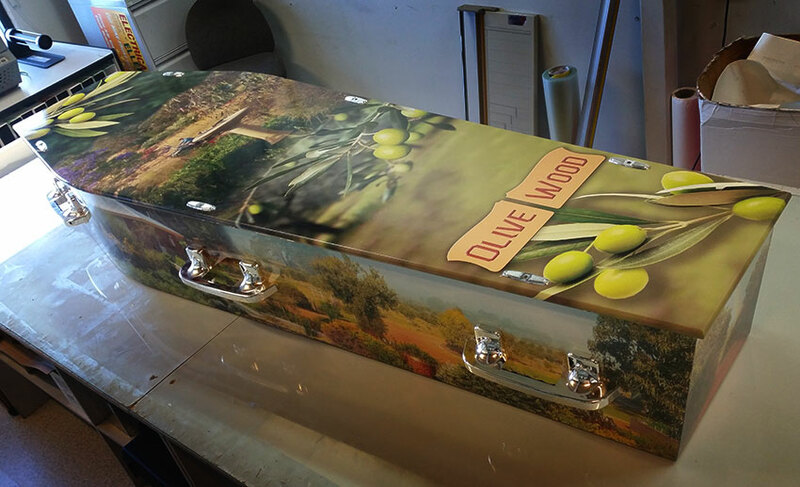 When it’s time to send someone off in style, speak to Perth Graphics Centre about making their coffin look its best.